Hagadorn Road and Harrison Road are two of the busiest in Mid-Michigan and they're both closing Tuesday because of railroad track repairs. 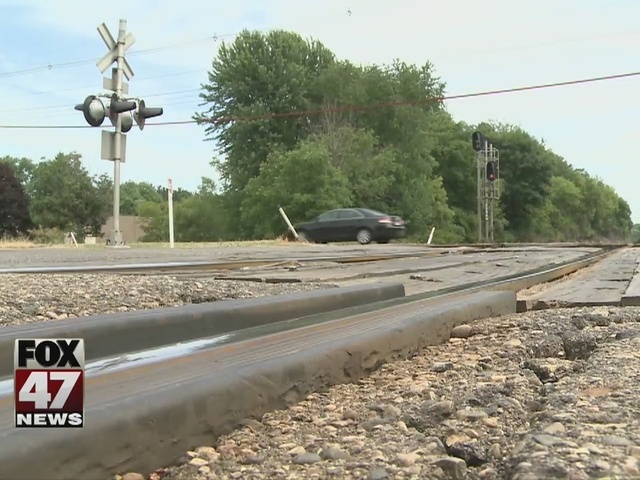 Drivers who cross the tracks on Hagadorn near Service Road say its gotten so bad, they're concerned about damage to their car. "Normally I just try to speed past them and pray that my check engine light doesn't turn on afterwards," said Ivan Zaitz. It's not just the pavement that has Zaitz concerned, it's also the wood along the tracks that he sees splintering off. "They pop up sporadically so I'm always nervous if there's a car next to me driving over them at the same time that we're going to mess up each others car," he added. A fix isn't far off. The Canadian National Railroad Company will be patching up the tracks over the next three weeks. They'll also be working on the tracks at Harrison and Trowbridge. It's a project Steve Zavori says is long overdue. "You kind of just cringe and hope for the best," he said. Zavori crosses the tracks up to 4 times a day and says he's had plenty of near misses, since many drivers either brake or swerve when they hit the tracks. "You're just driving down the road and someone slams on their brakes almost to a stop right in front of you, then you have to stop and do it and if you're not paying attention someone is going to get rear ended," he explained. 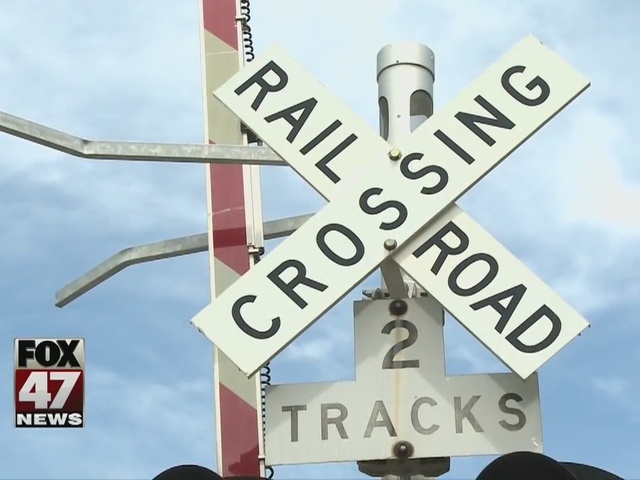 The railroad company had to wait on this project, because it needs the county's cooperation to keep the road closed. The Ingham County Road Commission is starting it's own project at the same time. They'll be adding a left turn land at Hagadorn and Mount Hope as well as improving the traffic light. That construction will involve the same road closures. It's an inconvenience Zaitz says he doesn't mind if means an end to bracing himself every time he crosses the tracks. "I have less praying that I have to do," he added. The railroad projects should wrap up by July 22nd. Until then drivers will be detoured to Farm and Shaw Lane. The county will keep at least one lane open so people can access business along Hagadorn. The county's project will take a little longer, but should be done by late August.